Two nations for whom Cricket is not just a sport now confront each other. India-Australia is a rivalry that is keenly anticipated by cricket fans all around the globe. The Border-Gavaskar Trophy over the years has produced some of the greatest moments in cricket for both the teams. The first Test of the 2018-19 tour begins on 6th December at the scenic Adelaide Oval. As India embarks on its 12th expedition to Australia, it is worth remembering that no Asian side has yet won a Test series on the Australian soil. The Indian team has extracted two drawn series but is yet return from Australia with a winning smile. The hopes will be high this time as the opposition is missing its two supreme batsmen, but it will be foolish to take them lightly. Although India has never secured a series win in Australia, they have time and again delivered cricketing masterpieces. Performing extraordinarily on the most challenging stage has earned a place in the Pantheon for many Indian legends. 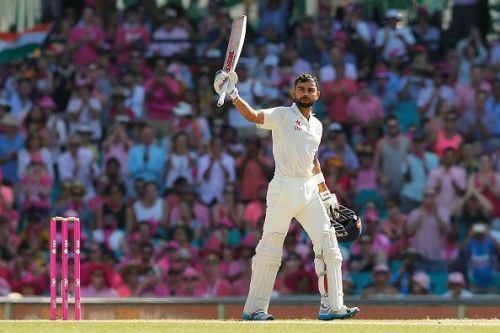 It is difficult to select only five, but these are the five most inspiring performances by Indians on the Australian soil. India’s tour to Australia in 1948 was the first away tour undertaken by the independent Indian nation. It was also the first confrontation between India and Australia. Lala Amarnath’s team was battered by Don Bradman’s invincibles from the start, and the visiting side trailed 0-2 by the time they arrived for the fourth Test at Adelaide Oval. Australia won the toss and chose to bat first. Don Bradman’s customary double century, Lindsay Hassett’s 198 and Sid Barnes’ 112 helped the home team inflicting the agony of 674 runs against the Indian team. Hazare made his impact in the first inning itself as he bowled the greatest batsman ever, Don Bradman, for 201 runs. Chasing the mountain of runs, India found itself placed precariously at 133/5. Vijay Hazare gained an able support in the all-rounder Dattu Phadkar and the duo stitched 188-run partnership for the sixth wicket. Hazare scored 116 while Phadkar fell for 123. India was all out for 374 and was asked to follow-on. Hazare had to walk out immediately to India’s rescue as the team faltered to 0/2. Garnering support from every possible partner, Hazare played a stupendous knock of 145 against the fiery Australian bowling attack that included Ray Lindwall and Keith Miller. India did lose the Test by an innings and 16 runs but Hazare’s effort evoked praises from Australian media and the Don himself. It was also the first instance of an Indian batsman scoring centuries in both innings of a Test match.